When you travel, the goal is to pack as little as possible while accomplishing as much as possible. 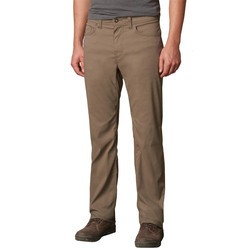 Men's trek-travel pants should look just as enthralling on a hike as at a restaurant or casual meeting, and will also they have more features than typical pants. For example, some are wrinkle-resistant for uncomplicated packing. Many are water-resistant for comfort when you get caught in the rain. Travel pants may also block the sun's harsh UV rays, have some stretch for easy freedom of movement or dry rapidly when wet. 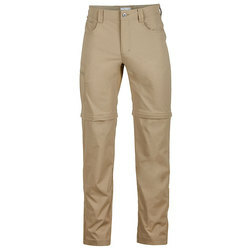 Convertible pants can act as both shorts and long pants. 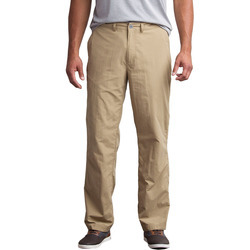 Most travel pants come in neutral colors, such as khaki, tan, grey, brown and black. Unstoppable brands include Ex Officio, The North Face, Salomon, Arcteryx, Marmot, Mountain Hardwear, Patagonia, Prana and Royal Robbins.